Microsoft breaks out a new exercise tool for the Kinect. Exercise! Some of you may ask, what is that? Well, the dictionary describes it as some form of physical activity taken up to improve health and fitness. And it looks like Microsoft is trying to help gamers become more active with a new update for the Kinect called Kinect Play Fit. 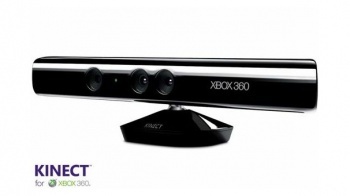 The new Kinect update will allow gamers to track their physical exercise across a variety of Kinect games. In addition, Microsoft will also be releasing a new peripheral, currently named Joule, which will be a heart-rate monitor that'll let users wirelessly track their heart rate and, for those ambitious enough to set up weight-loss goals or strength-training regimens, provide tracking data to help monitor one's progress. The Joule monitor will be compatible with most Kinect games, but won't be required to make use of the tracking features of Kinect Play Fit. There's currently no release date for the Kinect Play Fit system, but it's believed that Microsoft will reveal more information at E3 next month. Plenty of time to ditch your Shake Weight on Ebay if you so happen to have one.